This seven-volume set tells the remarkable and miraculous story of the restoration. Begun by Joseph Smith as a commandment from the Lord, it is a compilation of journal writings, sermons, general conference addresses, and revelations. It took the painstaking combined work of over twenty scribes and four editors over a period of twenty-seven years to bring it to publication. B.H. Roberts was later commissioned to make extensive edits and footnotes, which gave us the edition still used today. We now present it to you in digital format for your reading, searching, and studying pleasure. 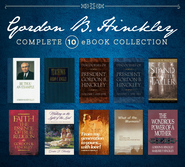 Helps one develop better appreciation for establishment of last dispensation of Gospel. I Like this history better than the Comprehensive History of the Church, which I found tedious in some places, but which I also enjoyed reading. This history provides more interesting details in several areas and more personal quips than in the Comprehensive History. Reading this history gives me more of a prospective of things that happened in the early days and how seriously and dedicated the saints were in living the gospel and all that they sacrificed. It is an edifying read. I would love to give a review, but I cannot access my purchased e-book. I also would really like a refund for at least the duplicate purchase of the book that I cannot read. I will not be using this site/app even if it somehow starts working. When I was growing up my parents bought this set of books for our family and they still have them. I am thankful that I have the chance to own them also. I have always loved history so I am glad to have these books to have as a reference, but also to read. Thank you for making them available on the Bookshelf. Everybody should read the History of the Church and not just hear pieces and parts of it. 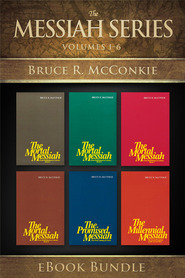 Not long after I joined The Church of Jesus Christ of Latter-day Saints, in 1974, my sister-in-law gave me the first few tomes of this wonderful work. Tears of joy come to me as I remember the hours on end that I spent absorbed in this set. Future volumes were on my Christmas list for my wife to get for me. It took me several years to read through the first six volumes and this set has become one of my favorite books of all time. Through it I gained a better understanding of the restoration of the Gospel of Jesus Christ and have a love for the Prophet Joseph Smith. I feel as if the Prophet is an old friend. I have been recommending this set to almost every set of Elders and Sisters who have come to our home during the many years I have been a ward or branch missionary or mission leader and to anybody else who would listen. All my children can finish the sentence for me when I say "The History of the Church by Joseph Smith with notes by B.H. Roberts." Many members do not realize that this is where we get the Joseph Smith--History in the Pearl of Great Price. Except the story continues through page after page of absorbing narrative. 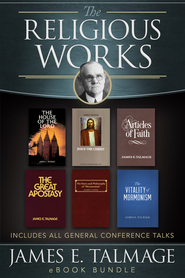 In these pages we not only have a great number of the sections of the Doctrine and Covenants, but the context within which each section was given. I have been looking and looking for this book in the Deseret Book listings and immediately purchased it when I found it today. I had to leave most of my books behind as my wife and I returned to the land of my birth, Chile, but now I can have the book right with me, in my pocket. 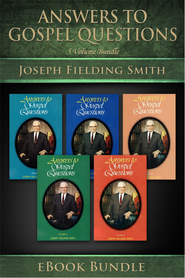 This book is a joy and would make a great gift for anyone who loves the Savior and enjoys seeing His hand touch the lives of the great Prophet of this dispensation and the early members. You will not be disappointed. If there was one book I wish was translated into Spanish, it would be this one.